We got a spooky tip off from TW member Charles Richard Lester. 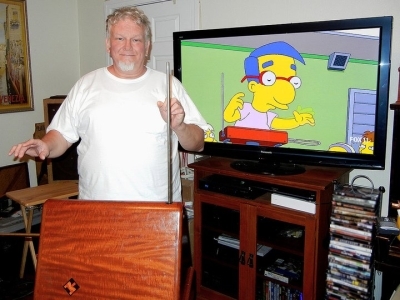 He's playing theremin again on the Simpsons for the annual Halloween episode, entitled "Treehouse of Horror XXII," airing on October 30, 2011 on Fox. And he got to record the cues with a 70 piece orchestra on the the largest music recording stage at 20th Century Fox. 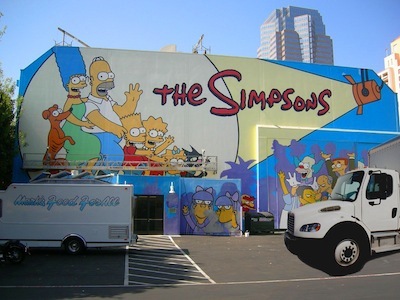 Here is a picture Charles took of one of the big sound stages on the Fox lot. Congratulations Charles, cannot wait to see it!